Life on the Scilly Isles in 1907 is bleak and full of hardship. First Laura’s twin brother Billy disappears. Then a terrible storm devastates everything. Faced with starvation, Laura and her family will need a miracle to survive. Just as it seems there’s no hope left, the great ship Zanzibar is wrecked on the island’s rocks. Suddenly everything changes, transforming Laura’s life… and the life of a boy many years in the future. 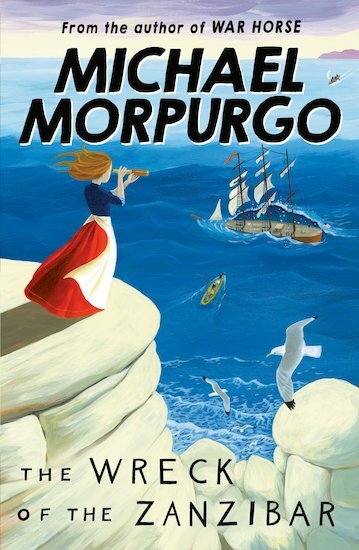 From star author Michael Morpurgo, this sea-swept tale of shipwrecks, storms and sea journeys is a must for any adventure-lover! 30 copies of this classic children’s book to accompany Read and Respond: The Wreck of the Zanzibar.